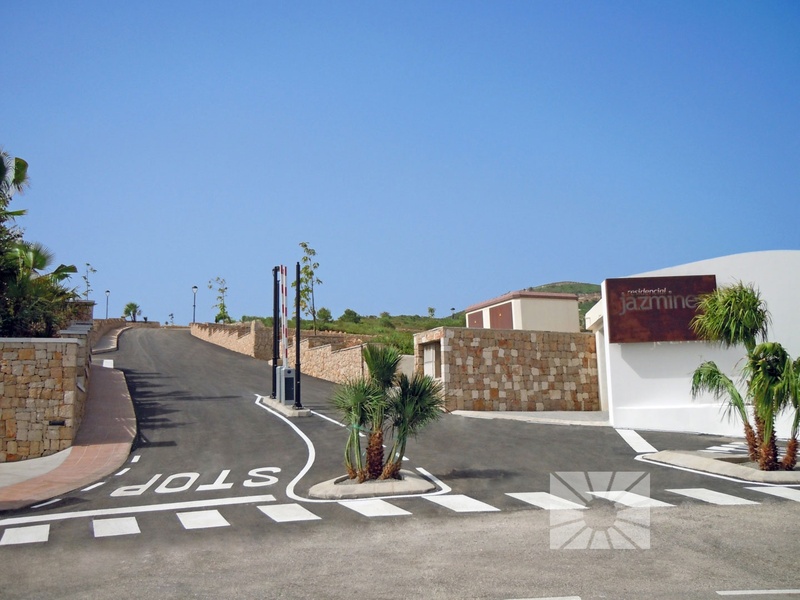 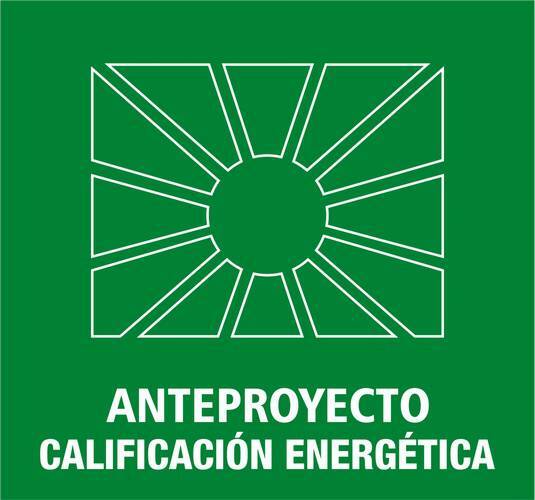 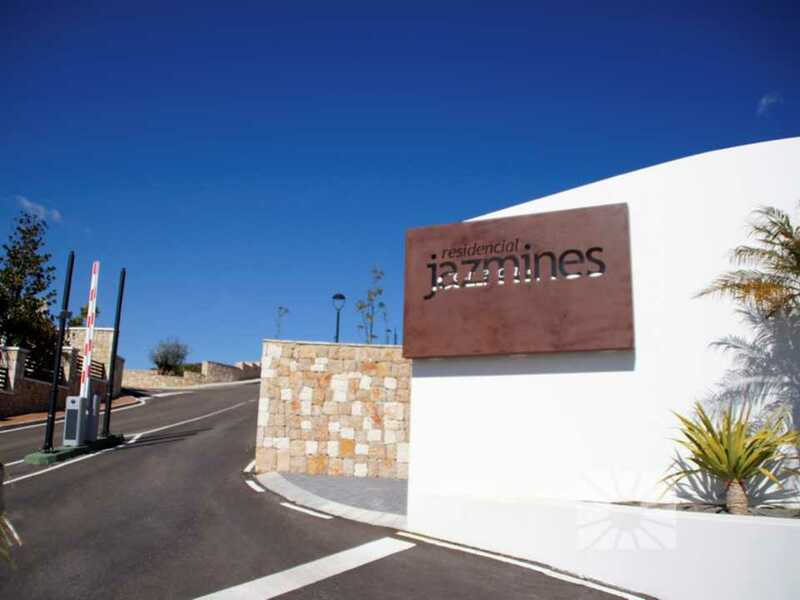 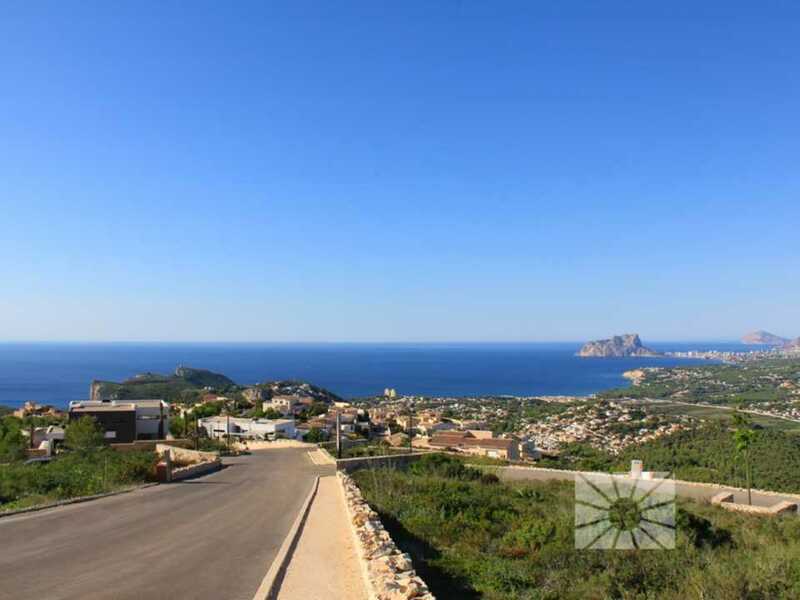 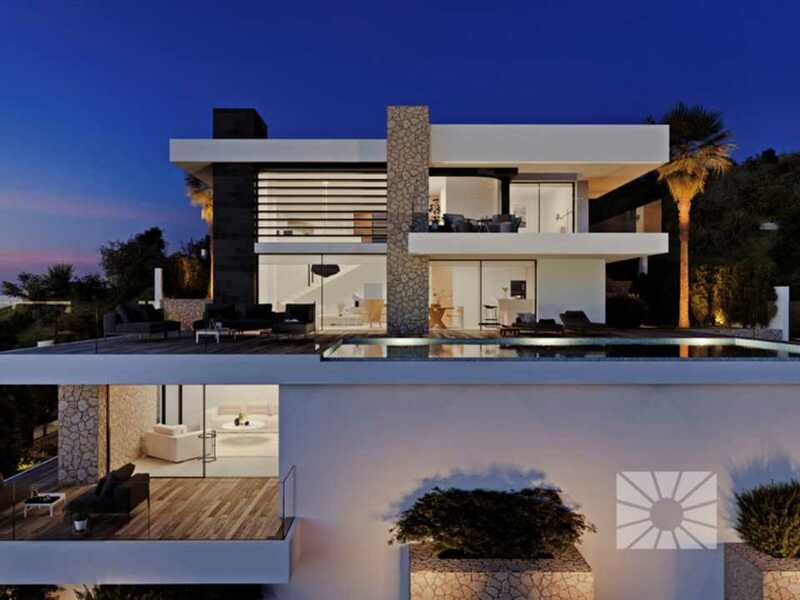 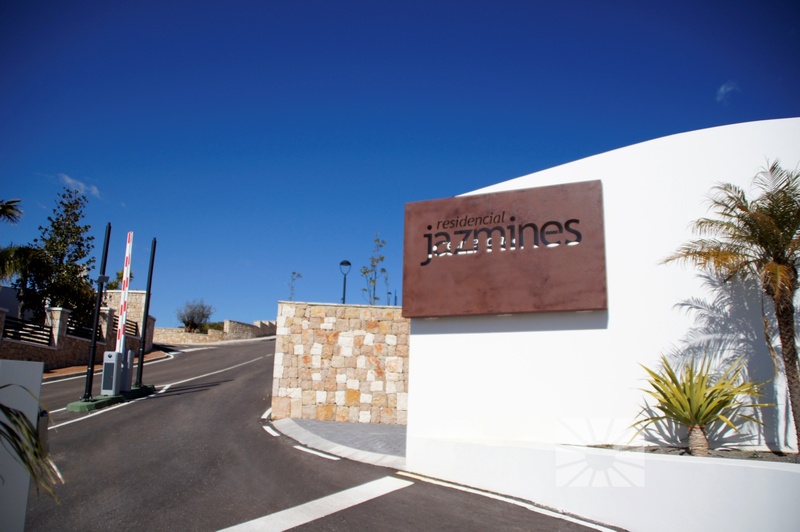 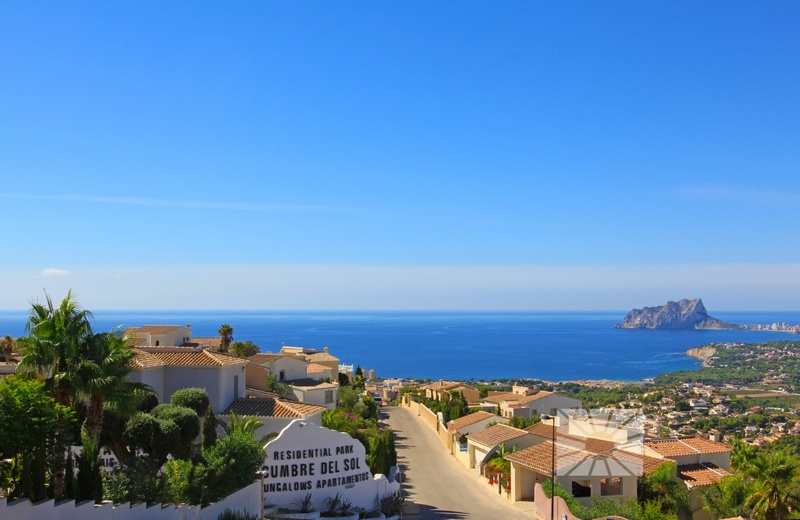 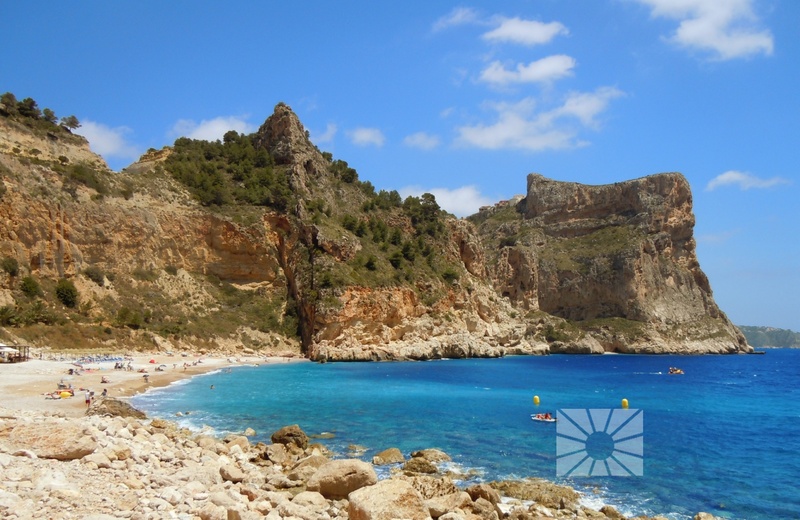 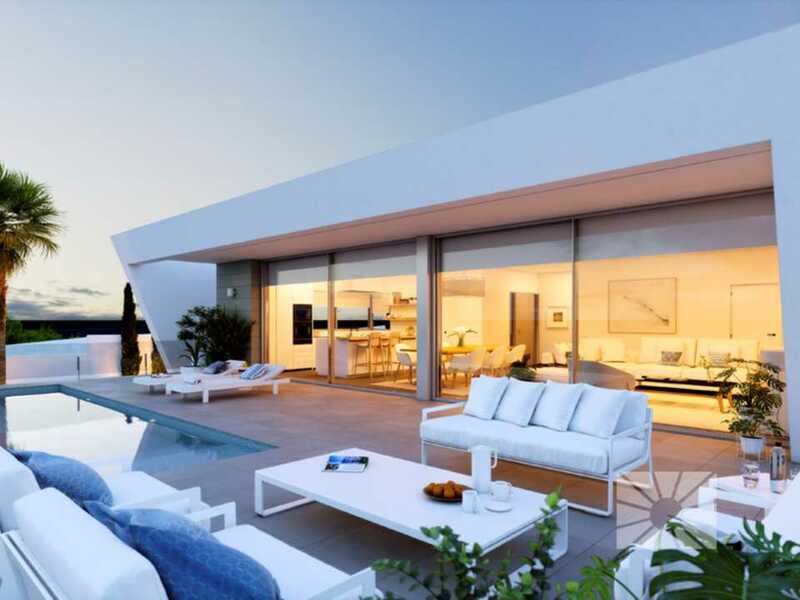 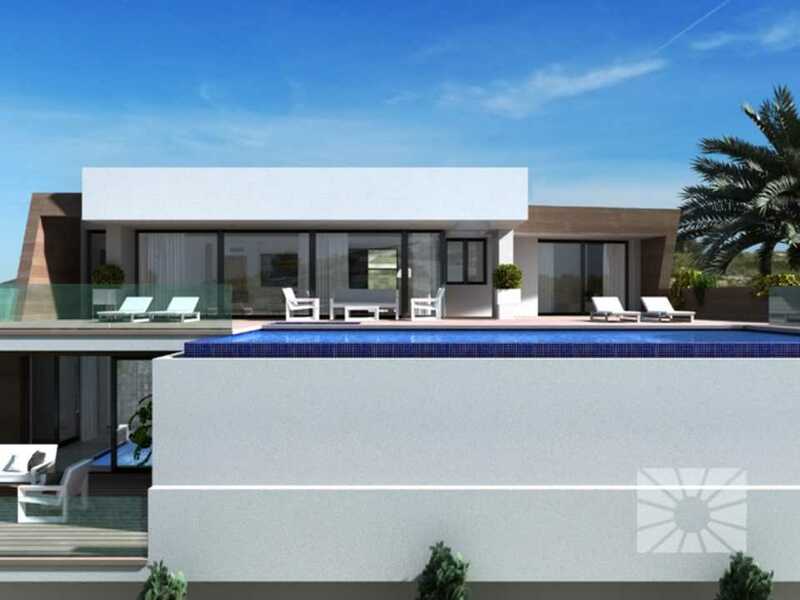 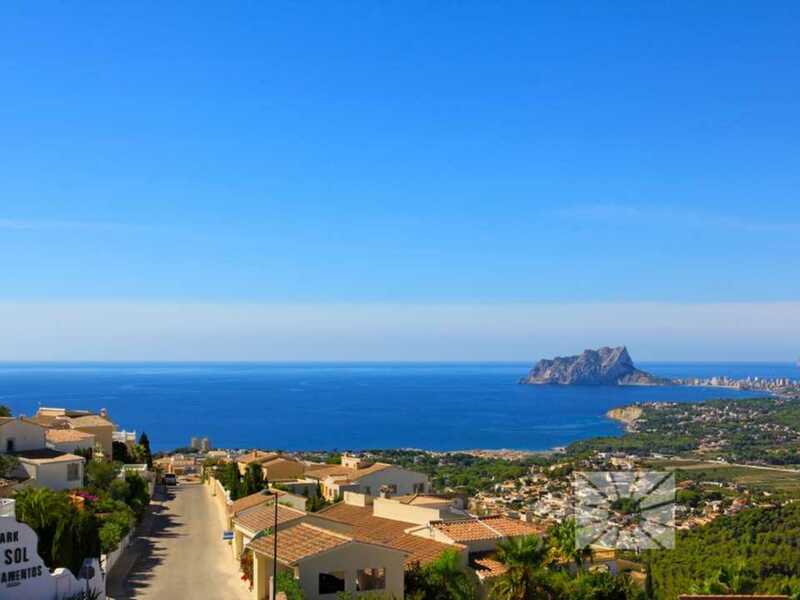 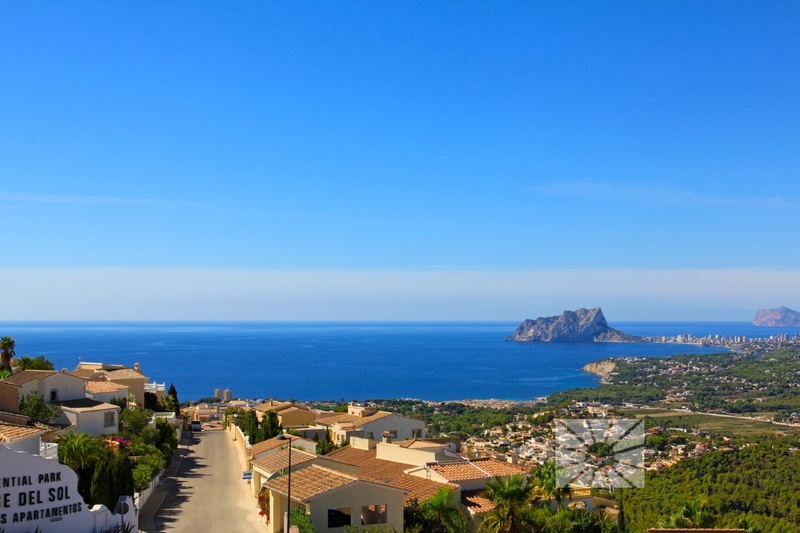 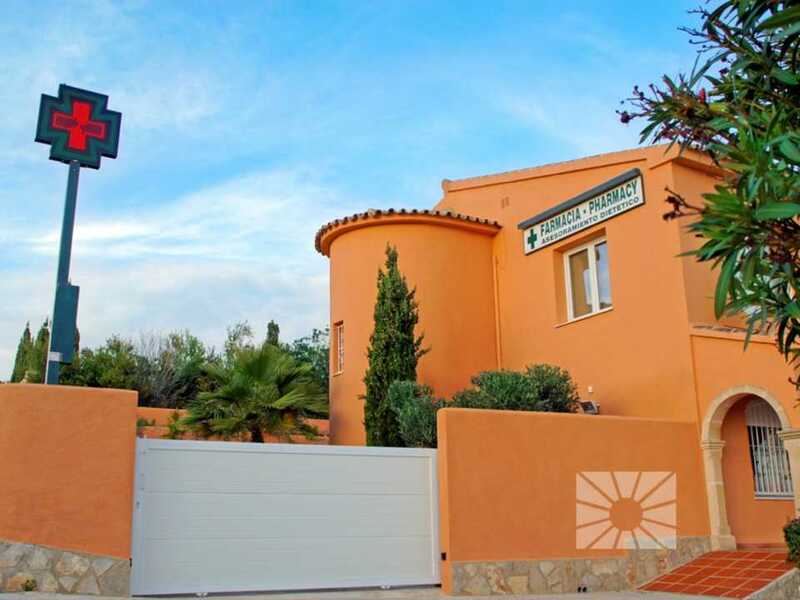 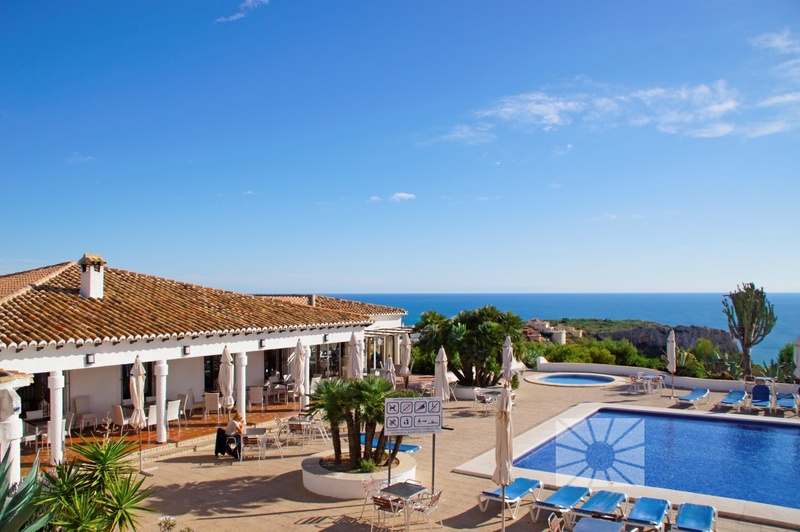 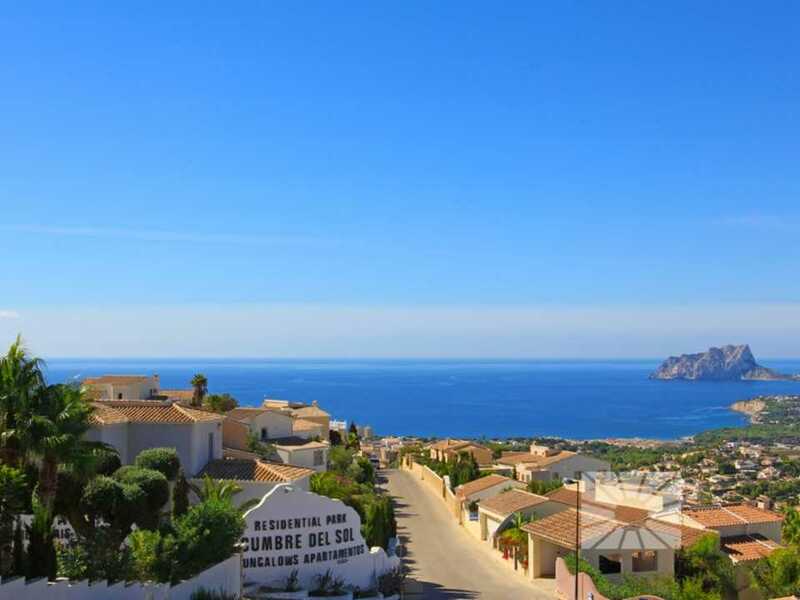 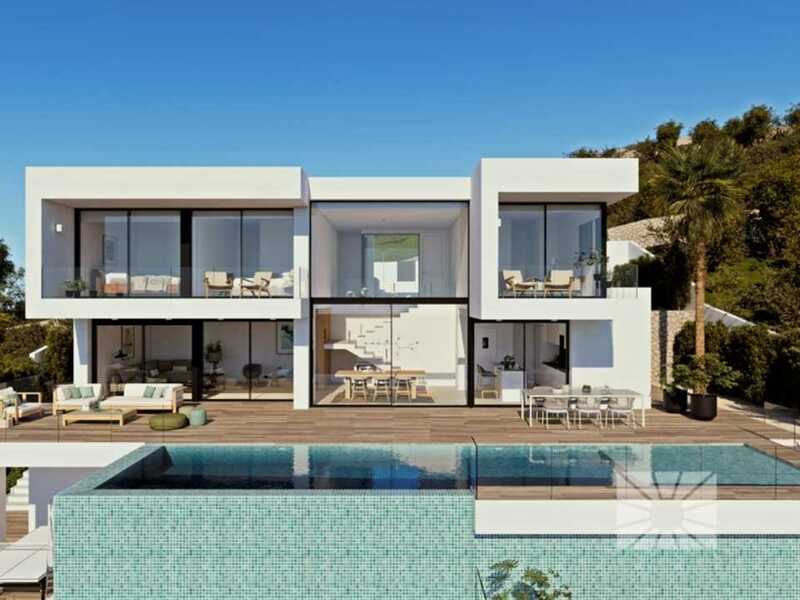 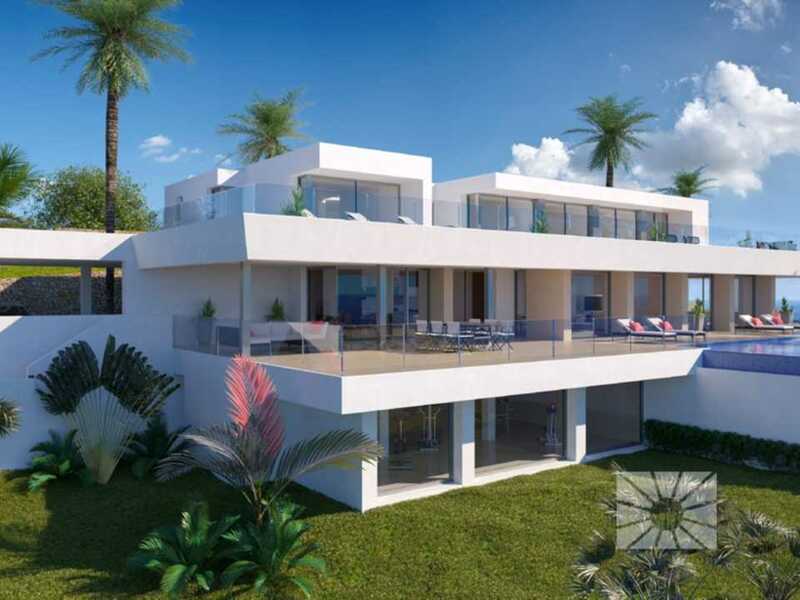 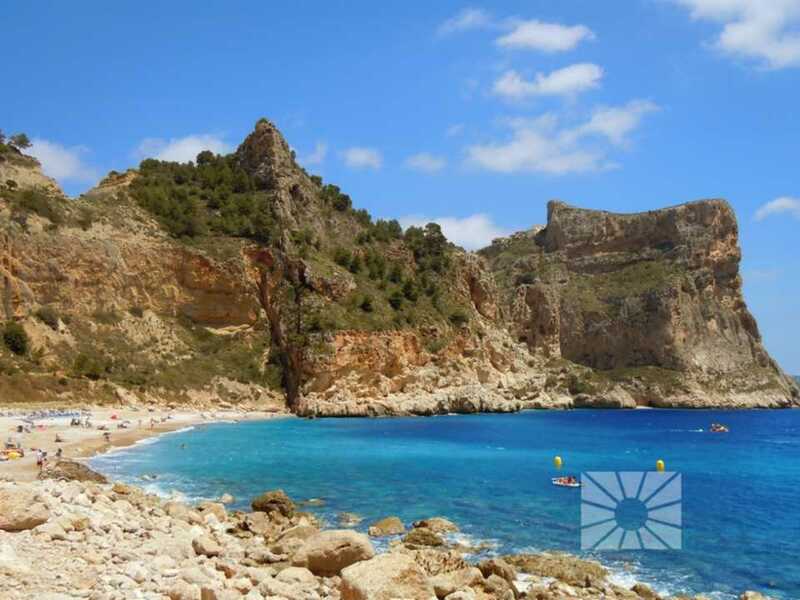 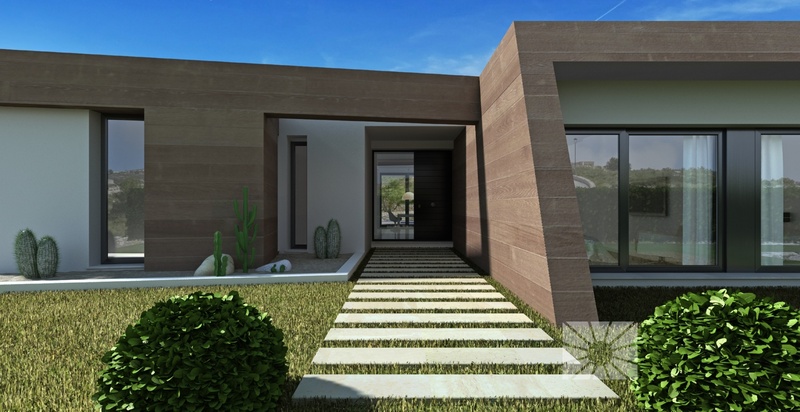 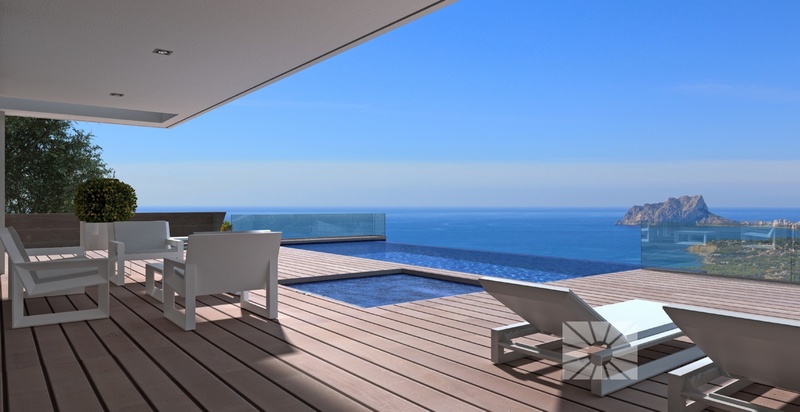 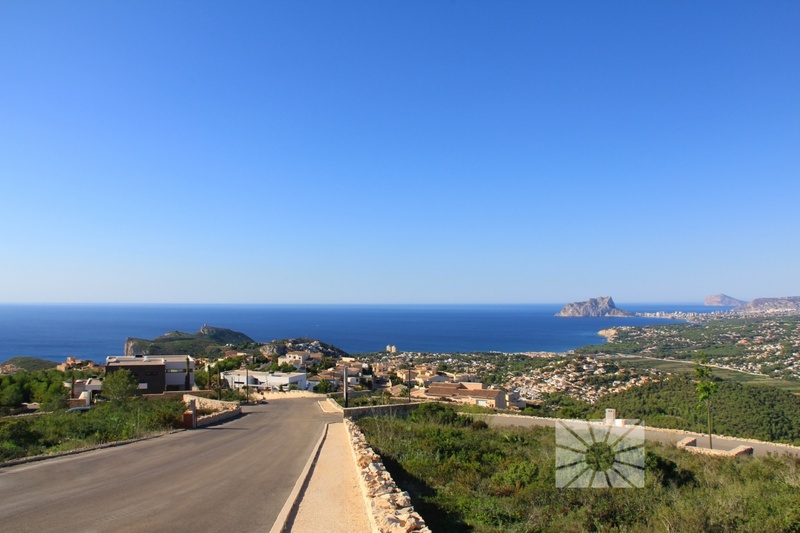 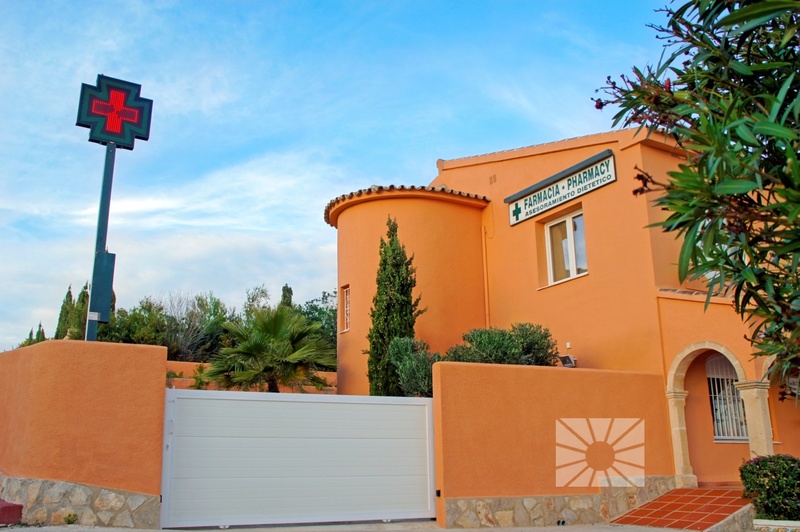 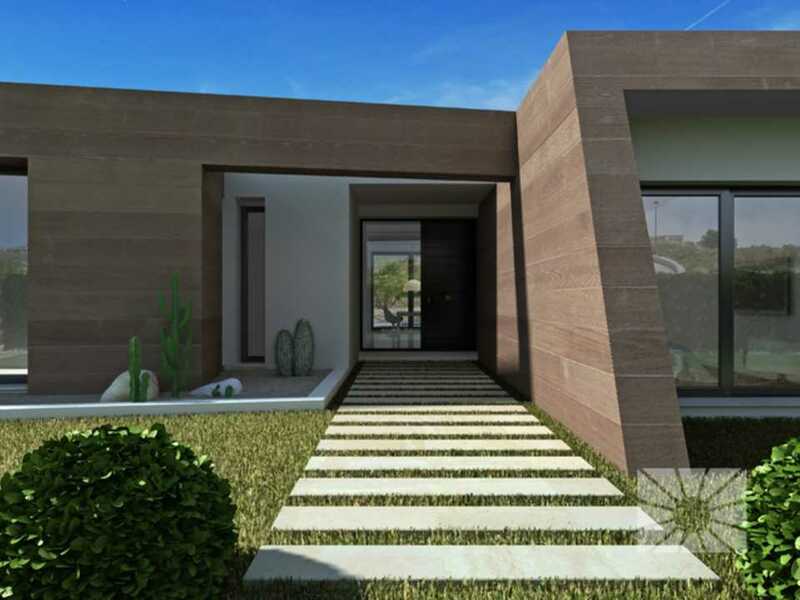 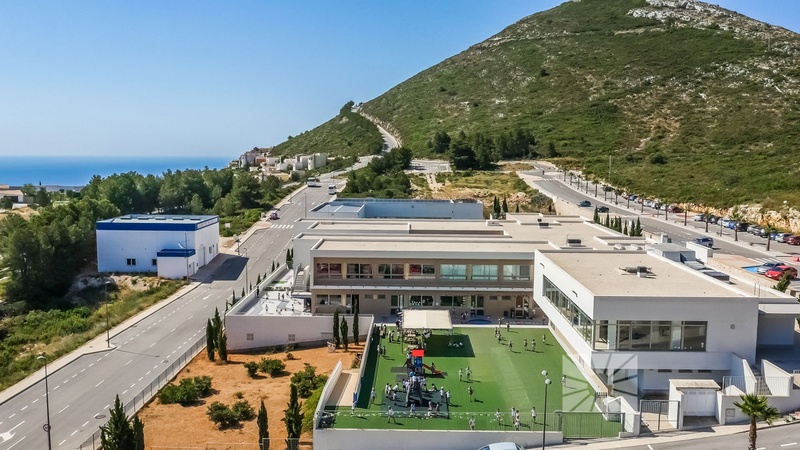 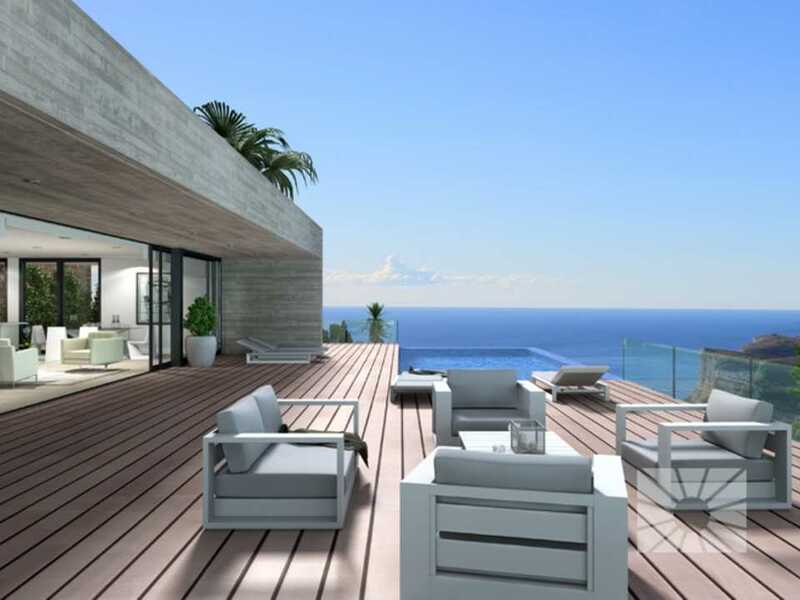 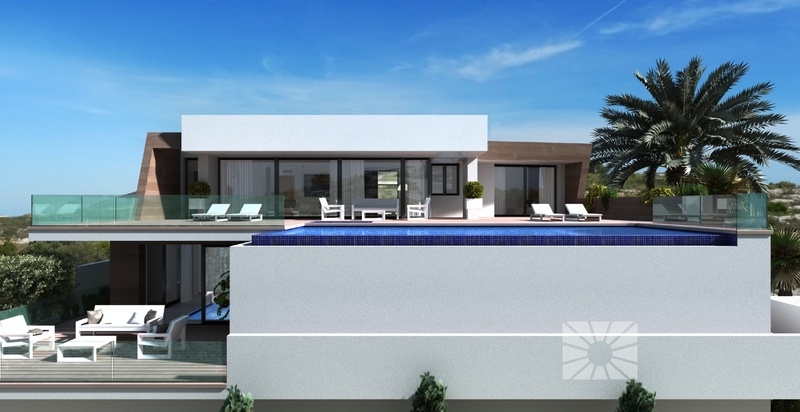 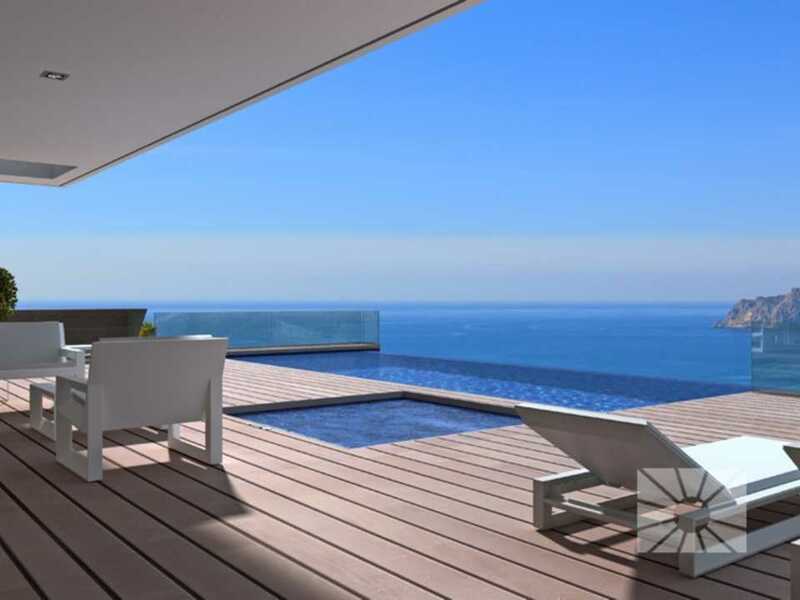 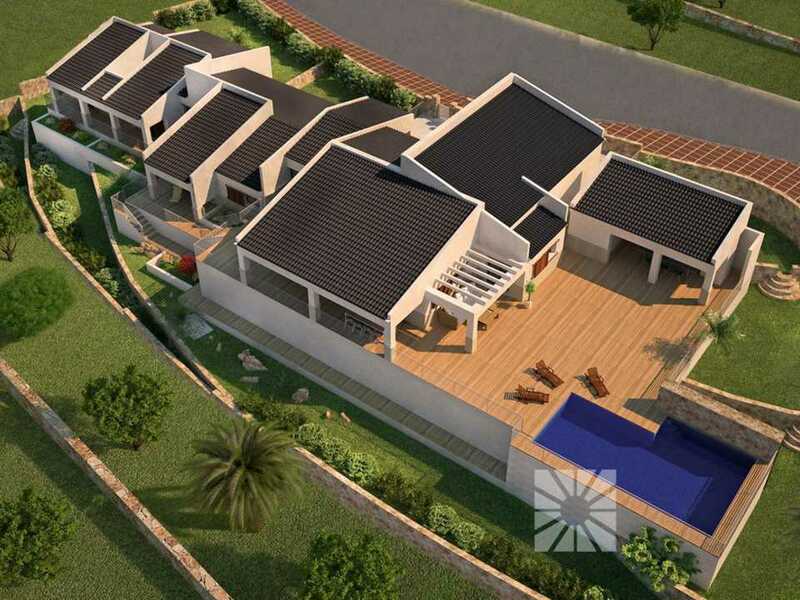 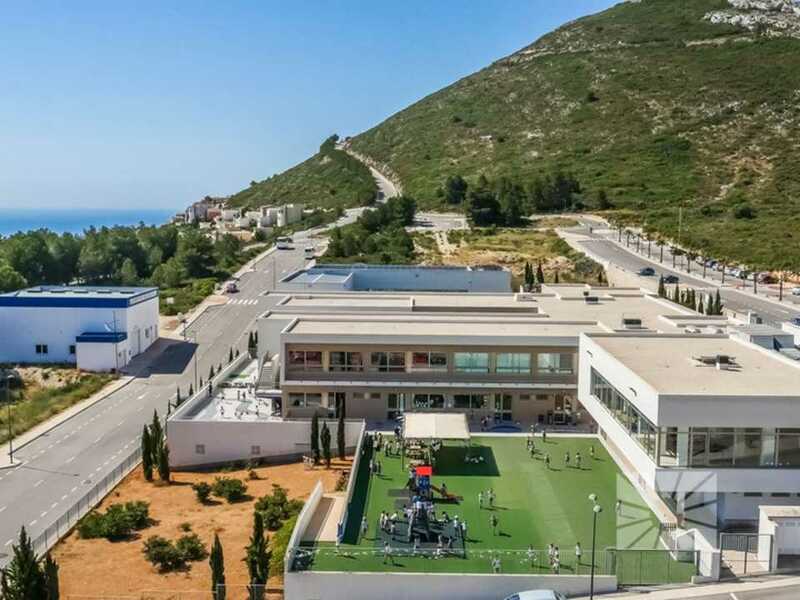 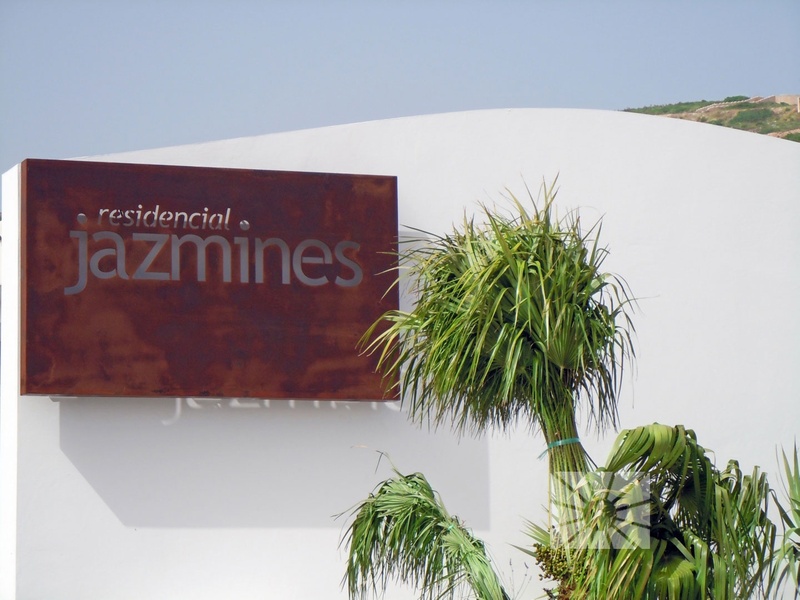 Villa Bellavista is a new project by Grupo VAPF designed exclusively for plot number 250 in the Jazmines Residential Estate at Cumbre del Sol, in Benitatxell, between Javea and Moraira, a location known as “paradise on the North Costa Blanca”. 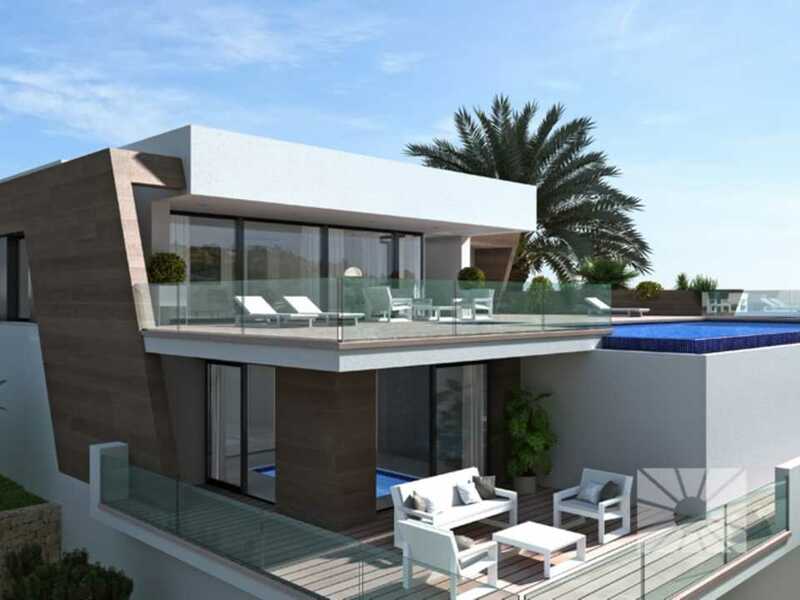 Bellavista stands out for its exterior design, a combination of clear lines and embellished elements that provide a unique, modern and elegant style. 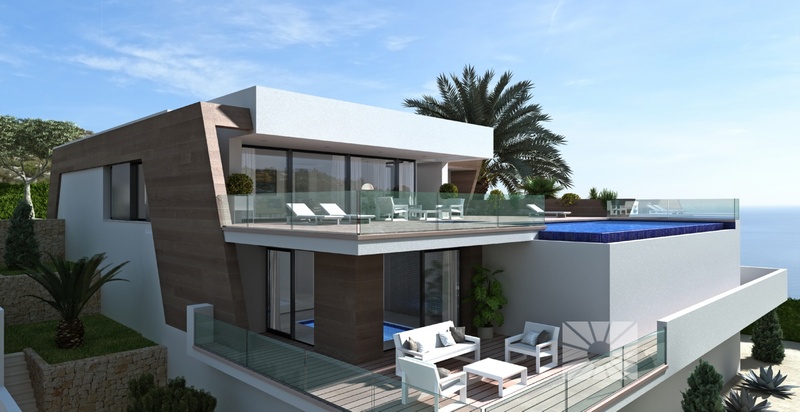 Not forgetting about the villa’s spectacular views across the Mediterranean Sea towards the Ifach Rock, that takes centre stage. 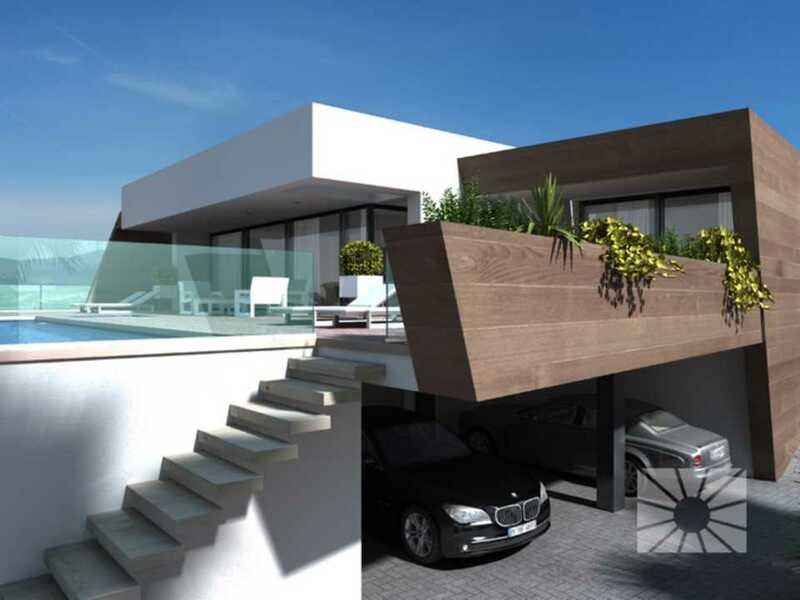 Its layout also deserves a special mention, as the main home is situated on only one floor, which makes it ideal for those who do not want to use stairs. 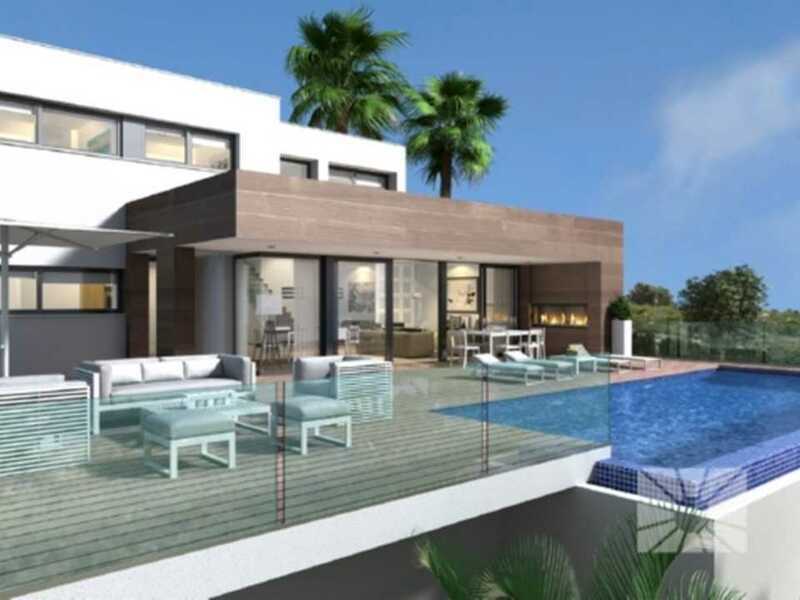 On this floor there is a spacious entrance hall, three bedrooms with en-suite bathrooms, one of which, the master bedroom, also houses a walk-in wardrobe and has direct access to the terrace. 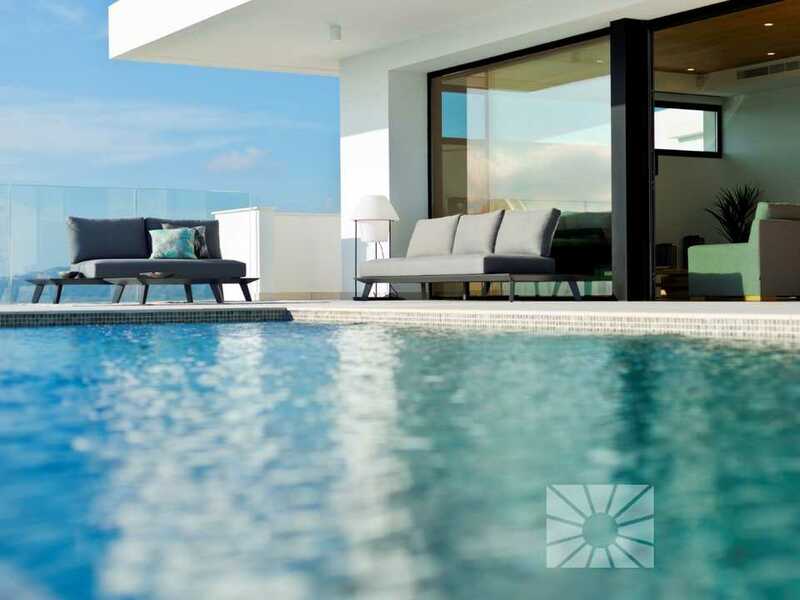 The spacious kitchen is connected to the lounge and a sunny veranda, where you can enjoy the fresh air and, in turn, leads on to the terrace with the infinity pool and a Jacuzzi. 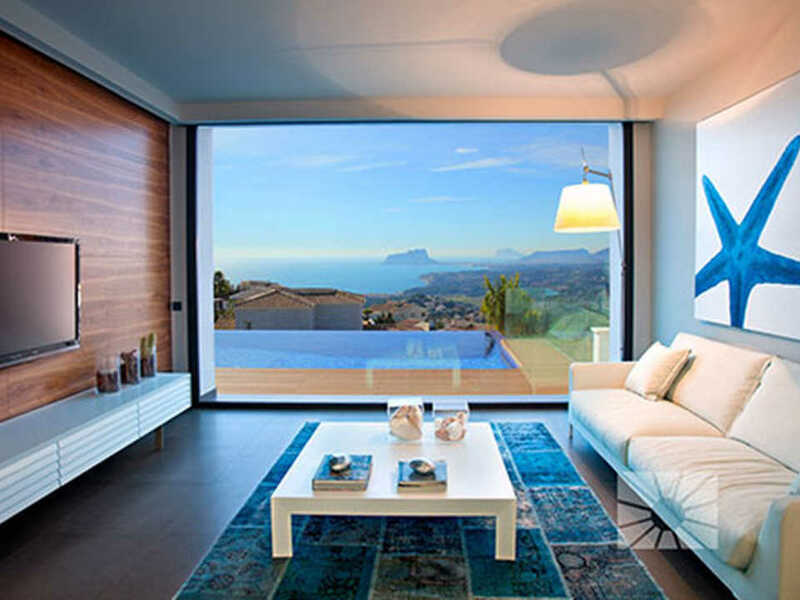 The layout of this floor also includes a guest toilet and a laundry room. 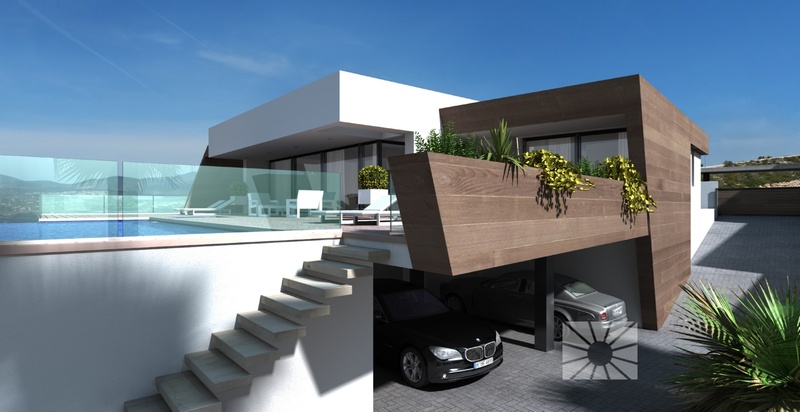 On the lower floor we find the garage with room for 3 vehicles and a space of 24,90 m2, with a terrace and a porch with a surface of more than 100 m2, which can be adapted to the needs of each client, so its use can range from a guest apartment to a leisure and relaxation area, with a home cinema, indoor pool, sauna etc., a 100% customizable space from which the wonderful views of the Mediterranean Sea can be enjoyed.